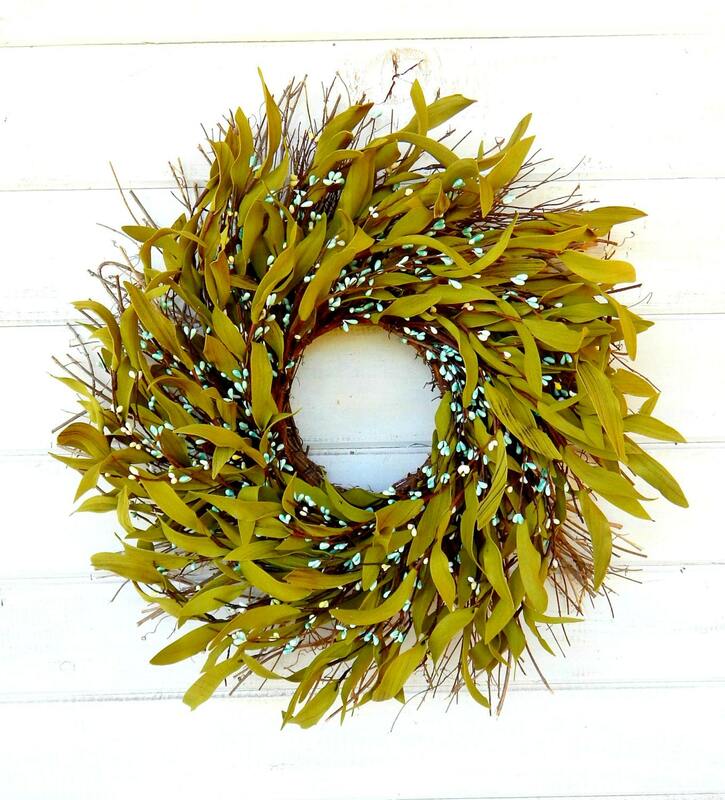 A Full Rustic Teal Bay Leaf Twig Wreath!! 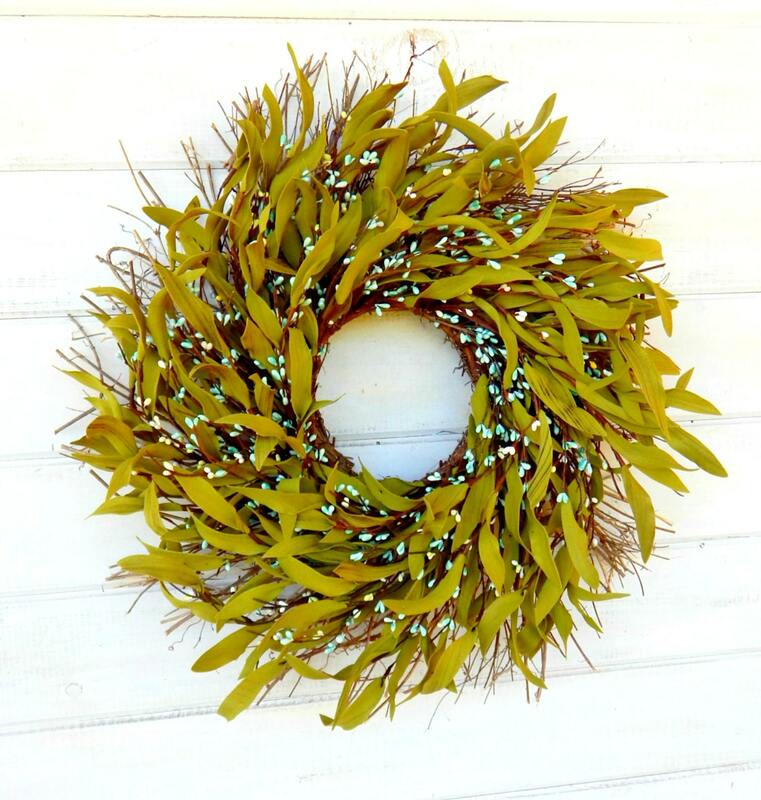 This Unique Scented Twig Wreath is full of Assorted Teal Pip Berries and Artificial Greenery. Beautiful! They are perfect!! They were shipped in a timely manner. They were packaged nicely. Thank you!